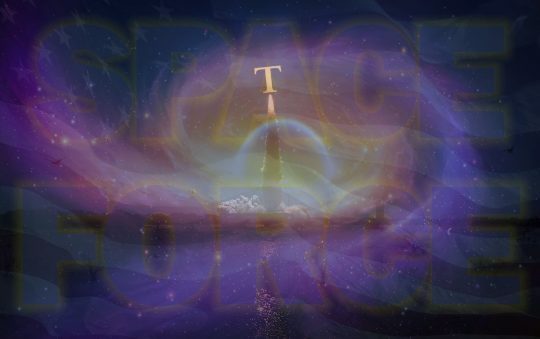 Vice President Mike Pence on Thursday formally unveiled President Donald Trump's visionary plan to establish a new branch of the U.S. military: the Space Force. The president marked the occasion by Tweeting, and liberals across the country were left with the odd yet familiar taste in the mouths that often results from being thoroughly owned. Most Americans are justifiably thrilled about Space Force, primarily because they are eager to reverse the decline of the American Empire initiated under President Barack Obama. If Space Force is to succeed in extending America's military dominance on Earth to the rest of the galaxy, our leaders must establish a clear set of priorities. Below are five reasonable suggestions. Defending the United States against space-born threats from China, Iran, and MS-13 space animals is the ultimate priority. This will require, among other things, the deployment of a Star Wars/Iron Dome missile defense capability just beyond Earth's atmosphere, and a buttload of hi-tech lasers. Another critical step in Trump's plan to project American hegemony in space will be the annexation of the International Space Station, followed by the total annexation of space itself. Once that's done, U.S. forces will litter the galaxy with space mines to hinder enemy "exploration" of the moon, Mars, and the billions and billions of stars and galaxies. This will have the added benefit of forestalling a potential alien invasion, in which case other nations would be expected to reimburse us for the cost of the mines. If you don't have borders, you don't have a galaxy, much less a planet or country. Granted, patrolling the entire galaxy to prevent unlawful intrusion is more of a longer term project, but construction should begin immediately on a beautiful translucent border sphere that will ultimately envelope the entire planet. Only lawful U.S. spacecraft will be allowed to pass through without a visa or valid work permit, because we are definitely going to need a lot of foreign space laborers for what comes next. If there's oil on Earth, there's got to be oil in space, whether it's on the moon, floating in Saturn's rings, or bubbling below the surface of a meteor. U.S. space forces can and must frack the $#!% out of anything that has moved, died, and turned into beautiful clean coal out there. Libs are going to freak, and they'll soon realize that building tent cities and forming drum circles to protest new pipelines aren't viable options on the surface of Mars. Losers! But just in case, Space Force should be testing new forms of tear gas to ensure compatibility in lower-gravity environs. At some point the libs are going to have to realize that their fantasy world of universal bike ownership, solar-powered housing projects, and candlelit brunch outings is never going to happen, and the only way to truly combat climate change is through U.S. military might. Once the U.S. military has conquered space, Trump should direct our forces to get to work on a solution to "climate change," in the unlikely but not impossible event that liberals are right and the whole thing isn't, in fact, an elaborate Chinese hoax. It's anyone's guess as to how this might be accomplished, which is why Space Force should not hesitate to experiment by, for example, detonating a bunch of tactical nukes in space and just seeing what happens. 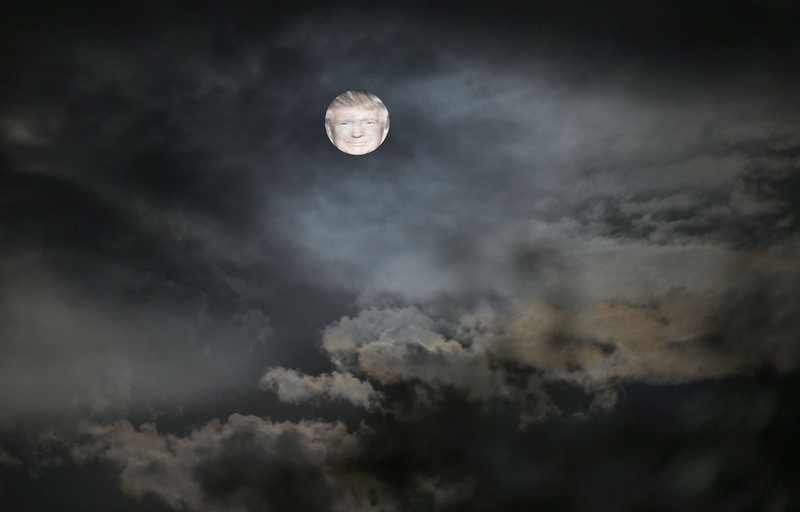 Would environmental fanatics really miss the moon if blowing it to shreds helped stem the tide of rising sea levels they're always complaining about? I don't think so! The projection of military might is merely one aspect of a successful empire. Perhaps equally important, if not more so, is the protection of wealth and opulence. That is why establishing a "Mar-a-Lago in space" should be a critical aspect of the Space Force mission. Fortunately, we have a president who knows a thing or two about luxury real estate. Marble tiling and gold-plated showers are just as breathtaking in orbit as they are on Earth, and no expense should be spared in constructing this monument to American might, which could also double as a military detention center for space terrorists.